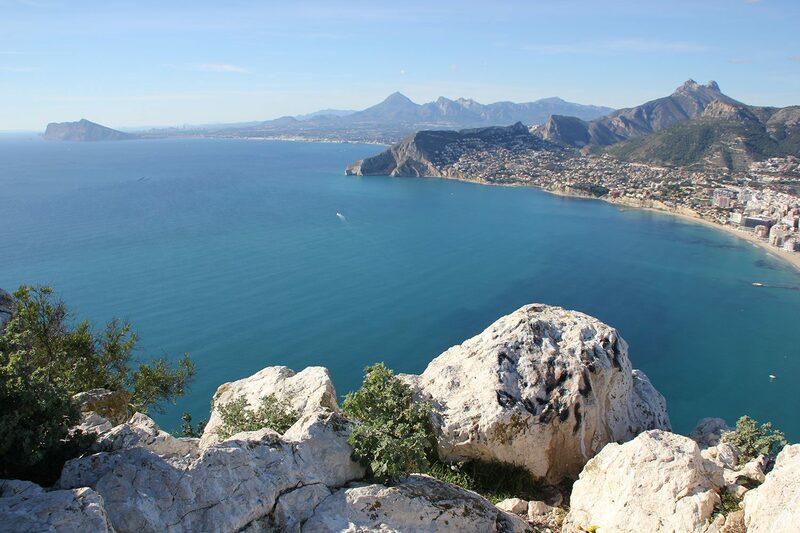 Your perfect Holiday in Spain all inclusive starts here! 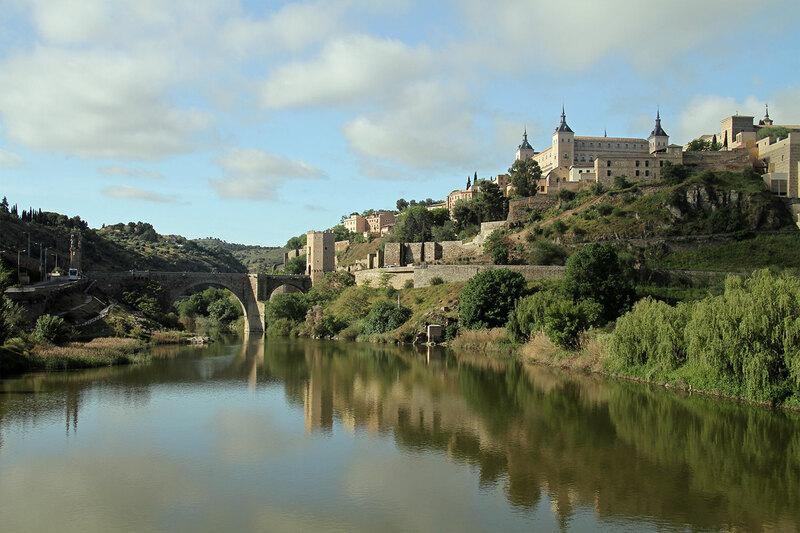 Discover the Moorish kingdom of Andalusia from the middle ages, relive the 15th century Habsburg dynasty and witness Portugal, the once dominant sea power that gave the world melancholic Fado ballads. Buffet breakfast daily and 4 dinners. On other nights your guide will give you options for dinners. Lisbon and Porto city tax is not included, paid directly to the hotels. First depart by speed train from Barcelona “Sants” train station to Zaragoza. 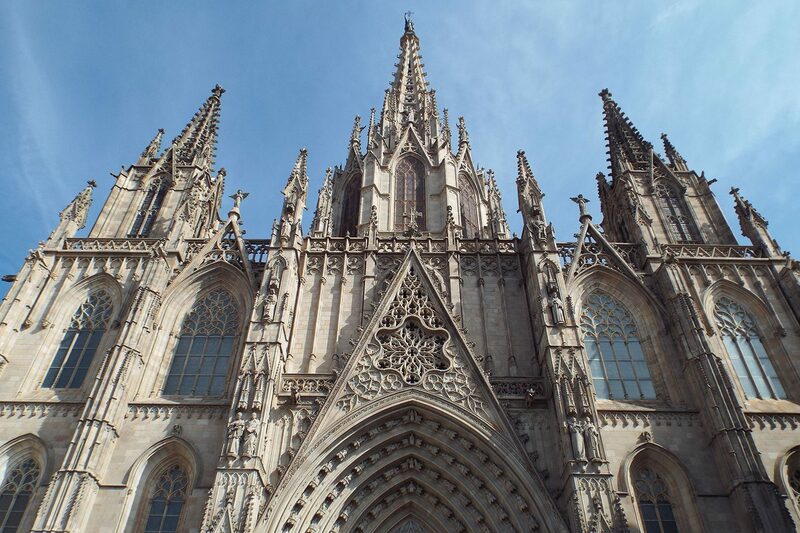 Then a transfer will take you to the city center to join the coach tour heading to the Basque Land city, San Sebastian. 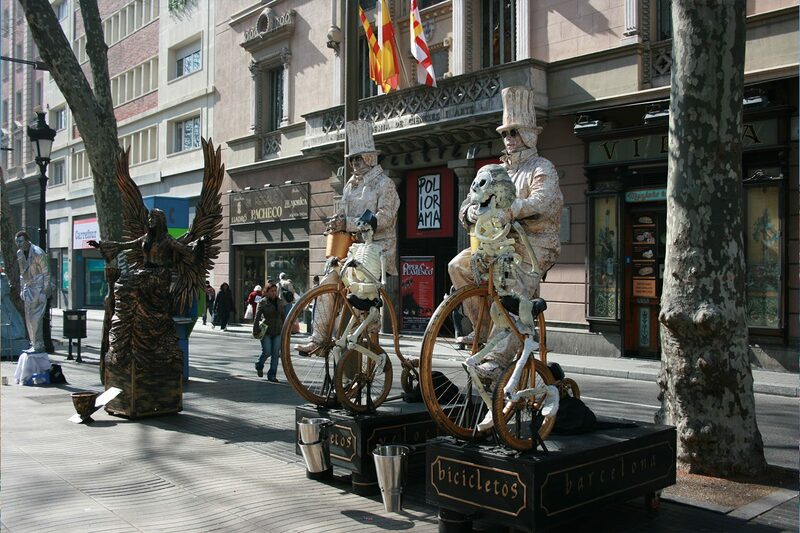 San Sebastian, is a famous tourist destination where the International Film Festival is held. Enjoy a panoramic tour of this elegant city, known for its crescent shaped La Concha beach and beachfront promenade surrounded by elegant buildings. The rest of the evening is free. Accommodation in San Sebastian. After breakfast we drive up to Mount Igueldo for a wonderful view of the city and the bay below. 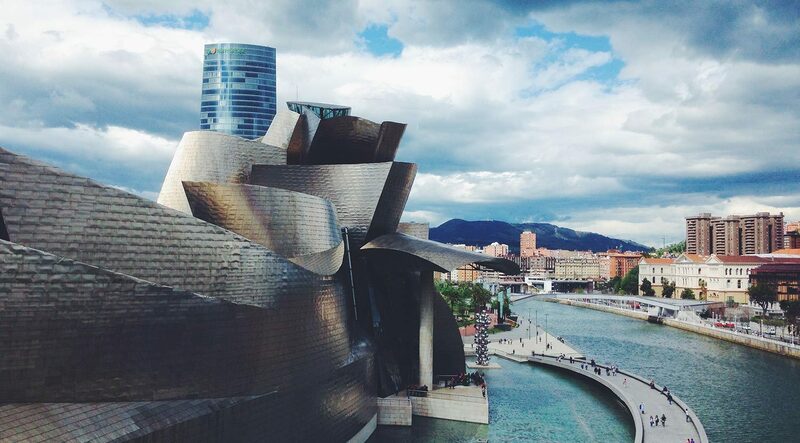 Then we proceed towards Bilbao, the Basque regions’ capital. 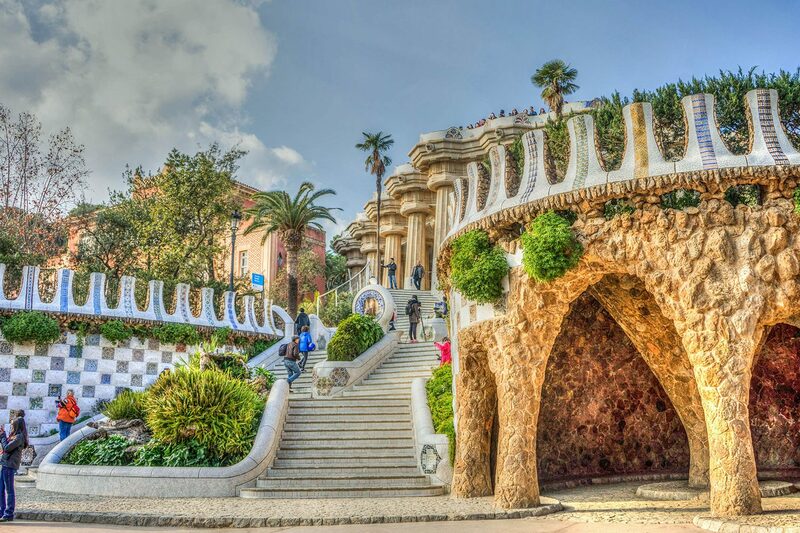 First, we have a panoramic drive around the city, then you will have free time on the esplanade to admire the unique architecture of the Guggenheim Museum. 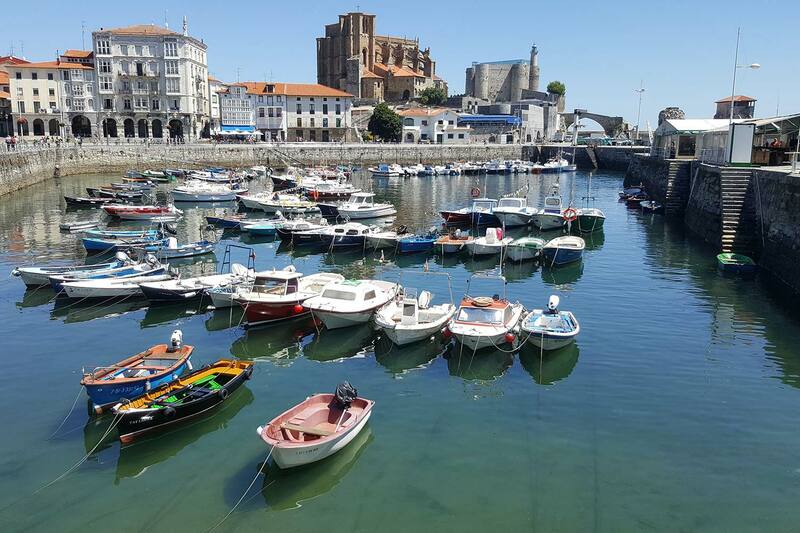 After we proceed to the old fishing village “Castro Urdiales” for free time to eat lunch and to stroll around the shore. We recommend trying one of the local fish dishes. 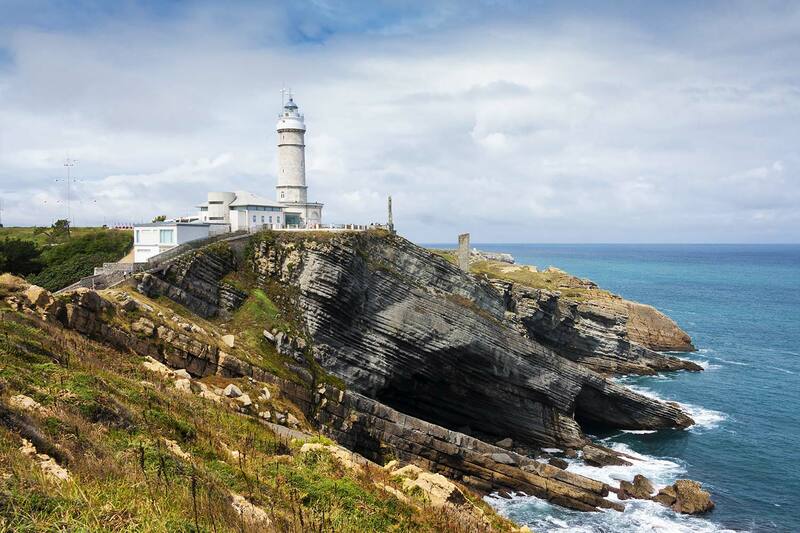 In the afternoon we depart to Santander, a port city located between the sea and the mountains, well known for its Sardinero Beach. 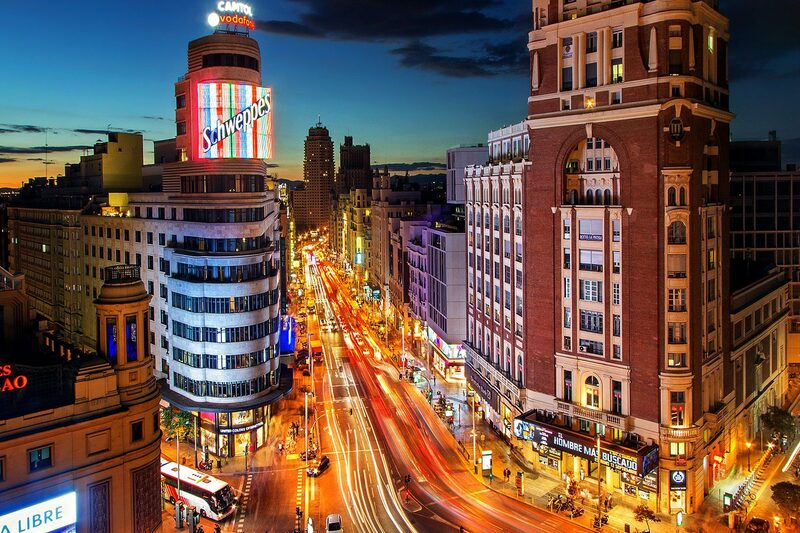 Some free time to stroll through this elegant city or simply relax. Accommodation at hotel. 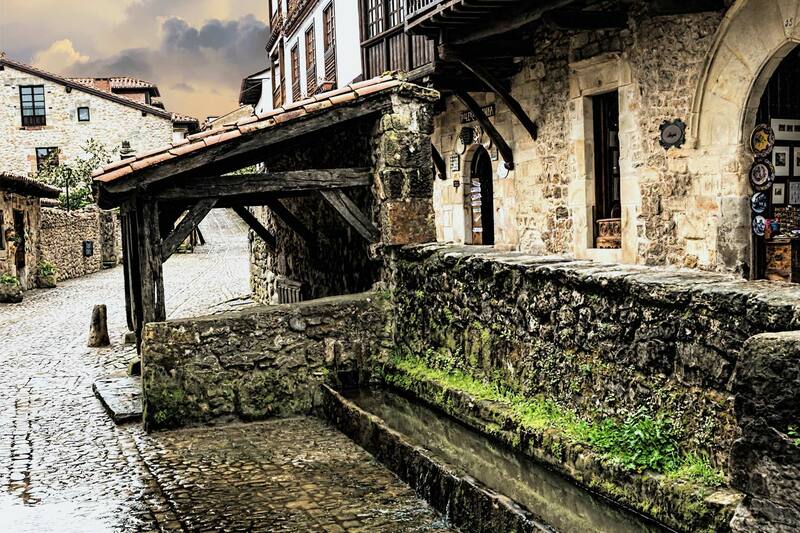 After breakfast we depart to Santillana, it’s one of the most important Medieval towns in Spain. 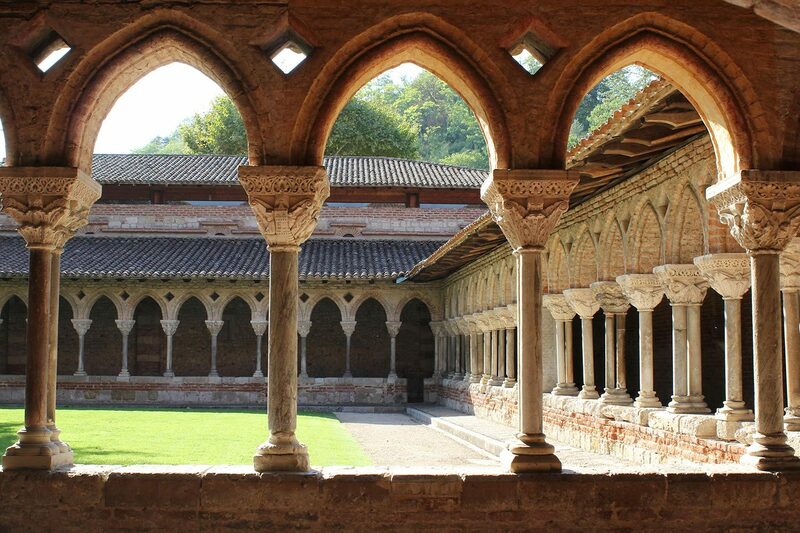 It contains architectural treasures such as the Collegiate of Santa Juliana, a Jewel of the Romanesque architecture in Cantabria. 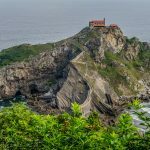 Continue to Covadonga in the mountainous region of Asturias, where you will have free time to see the Sanctuary and the Grotto dedicated to the patroness of Asturias our Lady of Covadonga. 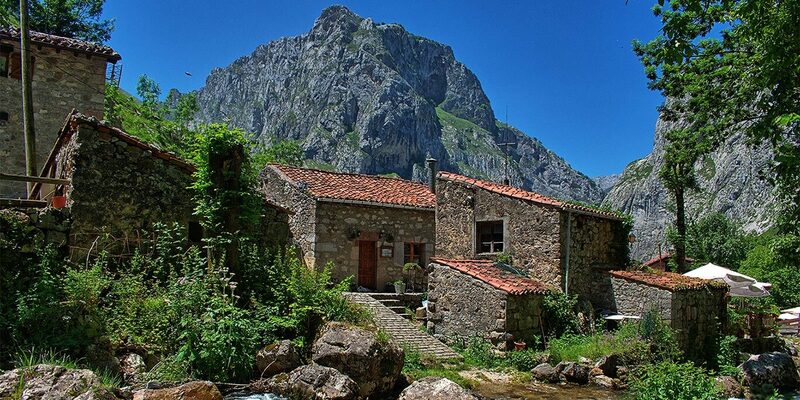 Covadonga is also known as the important place of an 8th century battle with the Moors which is considered the first significant victory in the Reconquista to regain the Iberian Peninsula form Moorish rule. 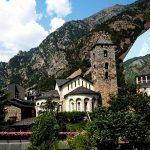 In the afternoon, we leave for Oviedo, where on a series of hills lies the Saint Maria de Naranco Church, a jewel of the pre-romantic Asturian architecture. 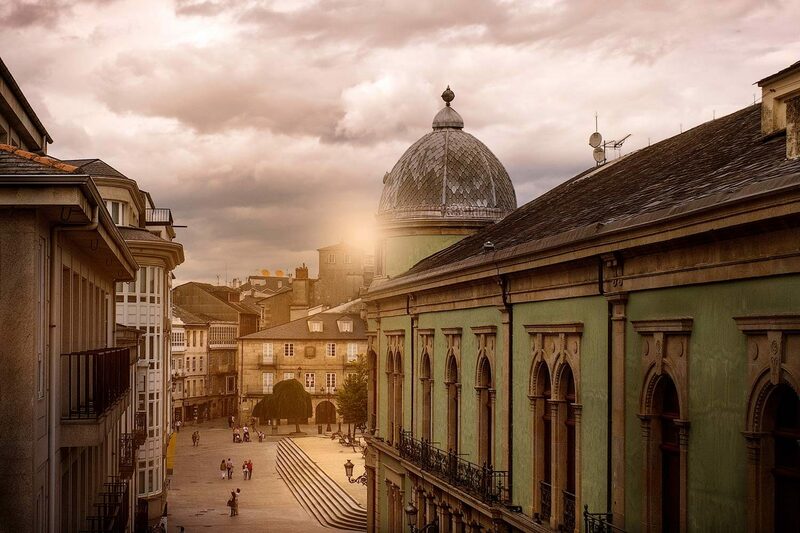 Use the free time to explore Oviedo, many of their streets are pedestrian and are registered on the World Heritage List. Accommodation in Oviedo. Breakfast at the hotel is followed by a drive to the Galician region. 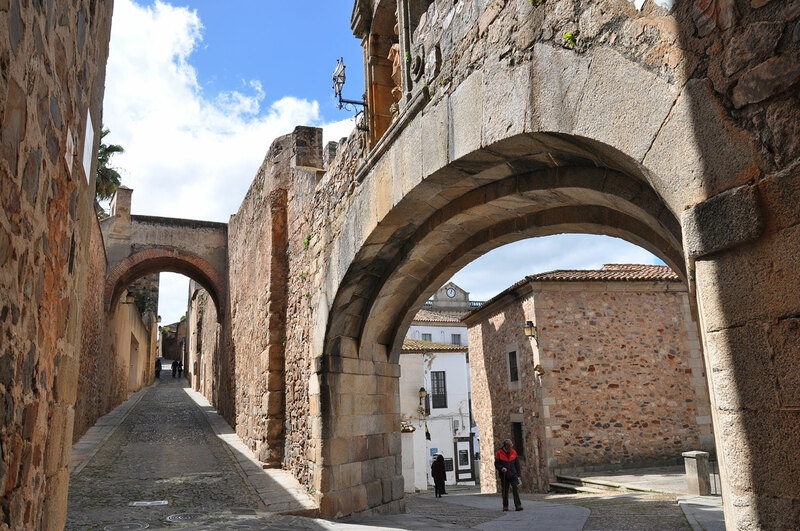 Lugo is well known for its Roman remains and is a UNESCO Heritage site. Continue to La Coruña for a brief panoramic drive through the main avenues of this fabulous town to admire the elegant buildings with unique glass covered balconies. 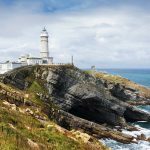 We stop at the outskirts of the city to visit the worlds the oldest working lighthouse, the “Tower of Hercules” dating back from the Roman times. The afternoon at your leisure. 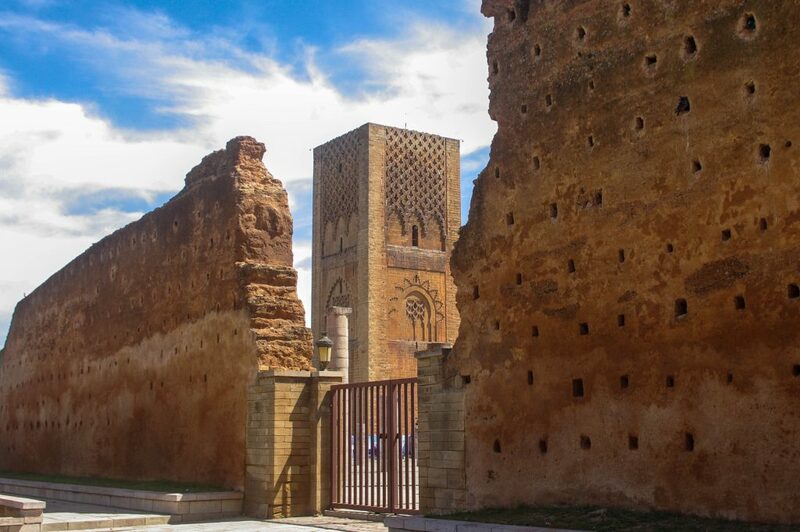 There is an option to join a tour to the Rias Altas area to visit some old towns in the northern river estuary. Accommodation in La Coruna. Breakfast at the hotel is followed by our departure to Santiago de Compostela. 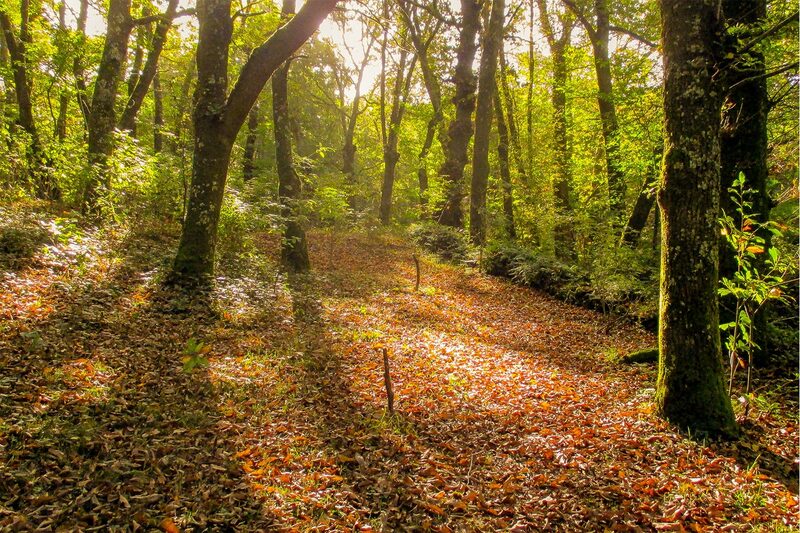 Declared a World Heritage site, it is an important center of Christian Pilgrimage at the end of the Camino de Santiago route. 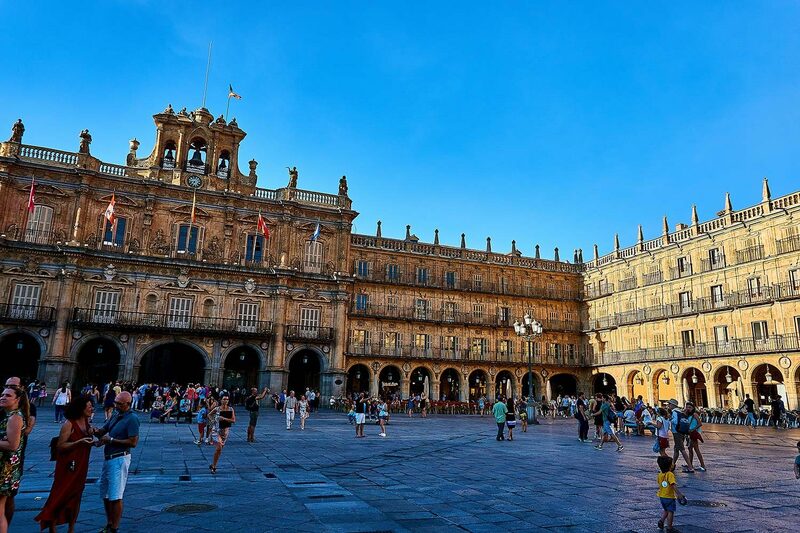 During a city tour, we will see the Obradoiro square and the Cathedral (entrance included) dedicated to the Apostle Santiago. 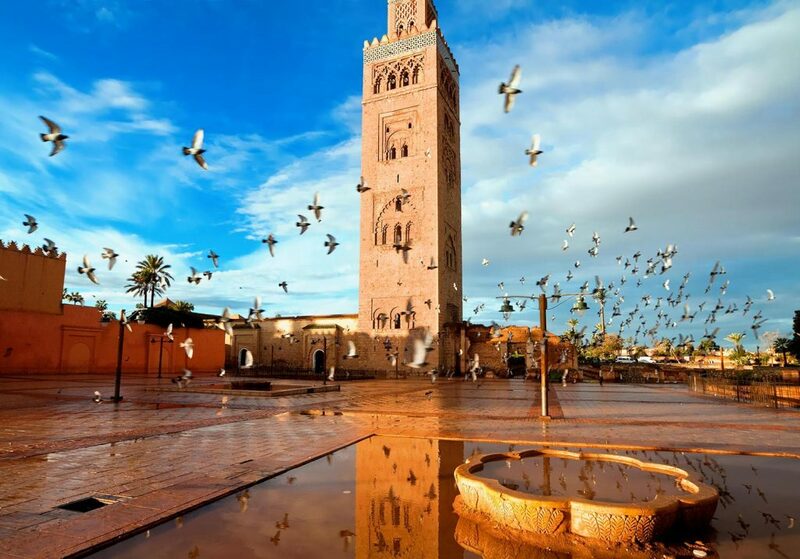 The rest of the day at your leisure to explore the narrow cobblestone streets and soak up the unique atmosphere of the pilgrims and students filling the streets. Accommodation in Santiago. After breakfast at the hotel, we depart to the scenic Rias Bajas (Lower river estuary). 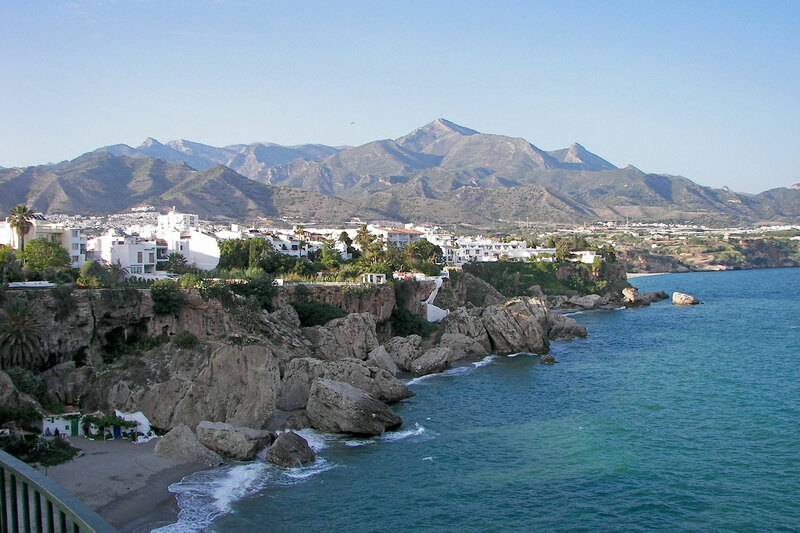 Having driven through this magnificent landscape we will arrive at La Toja Island, well known for its spa. 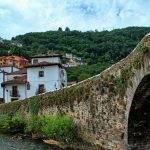 After some free time, we continue to the Ria de Arosa, passing through Pontevedra and arrive at Vigo, situated in the middle of the Rias Baixas area. Overnight. Breakfast at the hotel is followed by a departure to the Portuguese border. 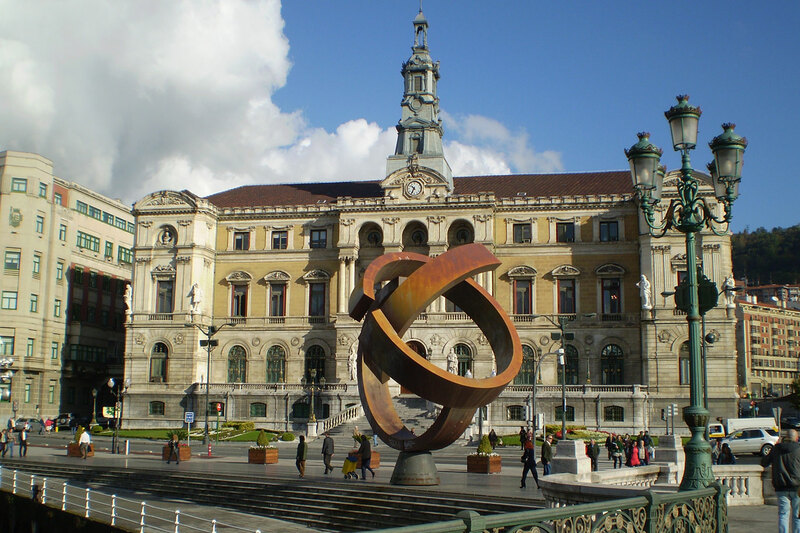 We will arrive at Viana do Castelo, a city located between the mouth of the river Miño and Porto. Then continue to Braga, a small town known for the Bom Jesus do Monte complex, a cascading garden with 17 levels of stairs from the hillside church. After a brief stop and we continue to Porto. Accommodation in Porto. We begin with a panoramic sightseeing tour of Porto considered a World Heritage city and one of the most famous wine centers in the world with a charming old town on the shores of the scenic Douro river. 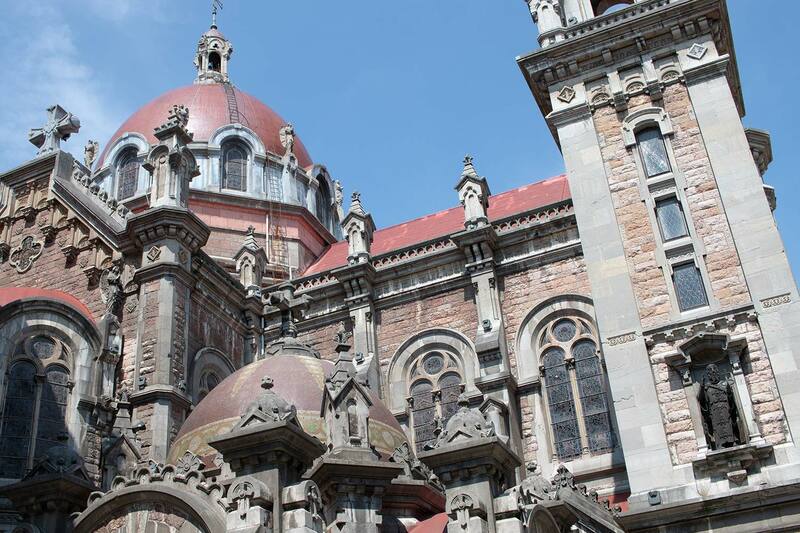 Take time to admire the Cathedral, Stock Exchange building and Santa Clara church. 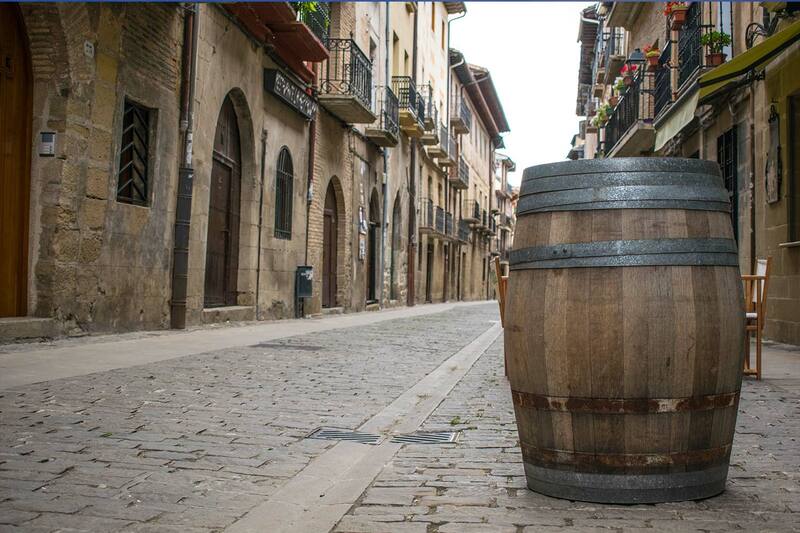 In the afternoon, there is an optional visit to a famous port winery with tasting. Accommodation in Porto. After breakfast we depart for Coimbra, the site of one of the oldest universities in Europe and the birthplace of Fado. 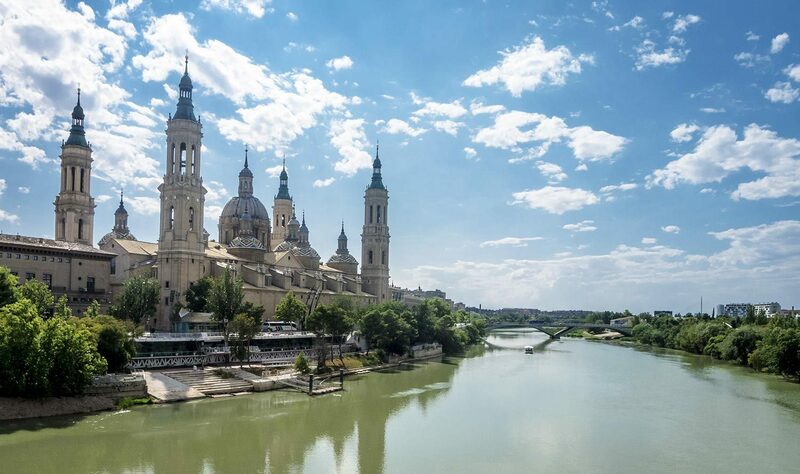 Take a little free time, then we move to Fatima, the center of the Christian Faith and World Pilgrimage Sanctuary with its impressive Basilica and Cova da Iria place. 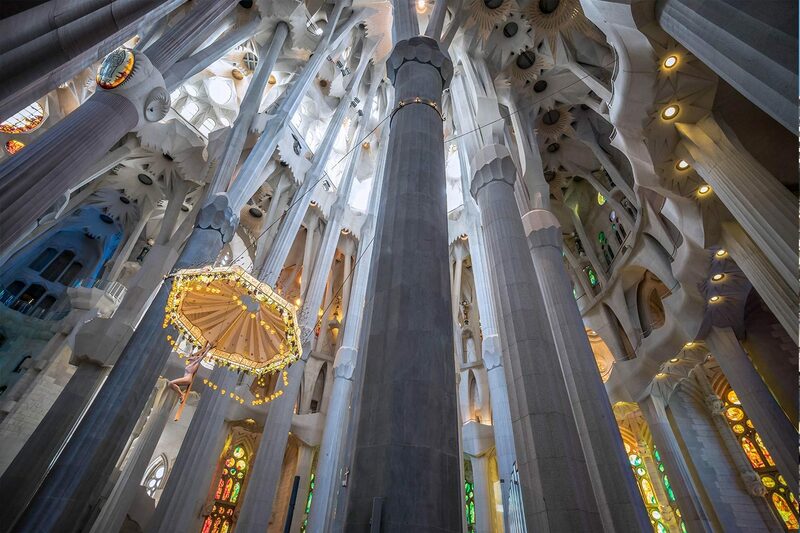 Next is the Chapel of the Apparitions, heart of the sanctuary, with the tombs of the three shepherds, Lucia, Francisco and Jacinta. At night there is an option to attend the procession of the candles. Accommodation in Coimbra. Breakfast at the hotel, we depart for the Batalha Monastery, a masterpiece of Gothic and Manueline style considered a World Heritage place by UNESCO. 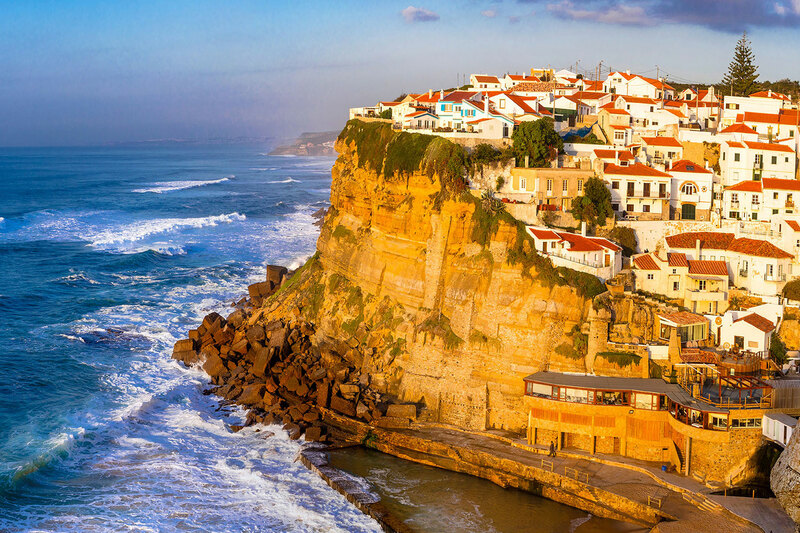 Then we continue to the picturesque fishing town of Nazaré. 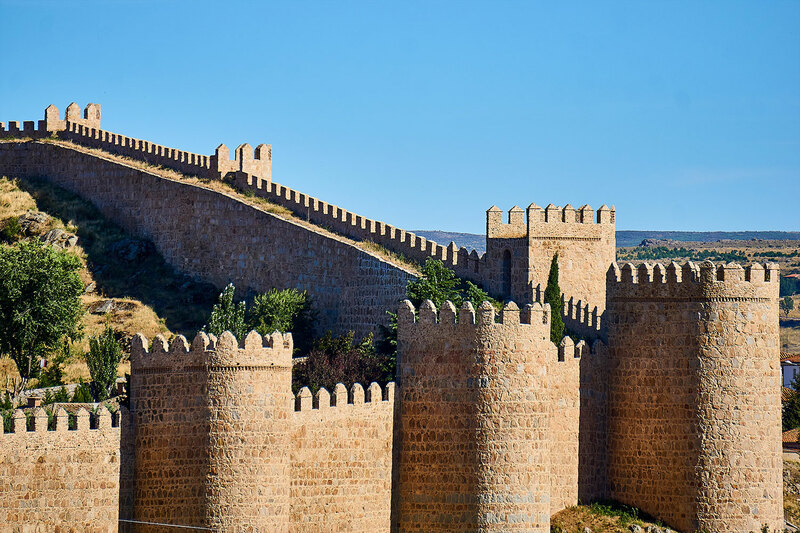 Enjoy some free time and continue to Alcobaça and other World Heritage site to see the tombs of Pedro and Inés de Castro, a Portuguese version of Romeo and Juliet. Continue to Lisbon for accommodation. 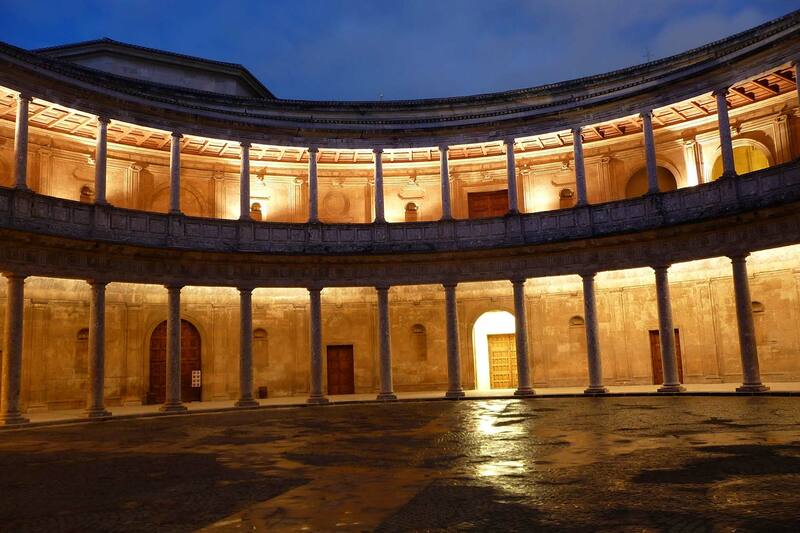 In the evening there is an optional Fado Show, a Portuguese song with melodies that date back to the Age of Discoveries. 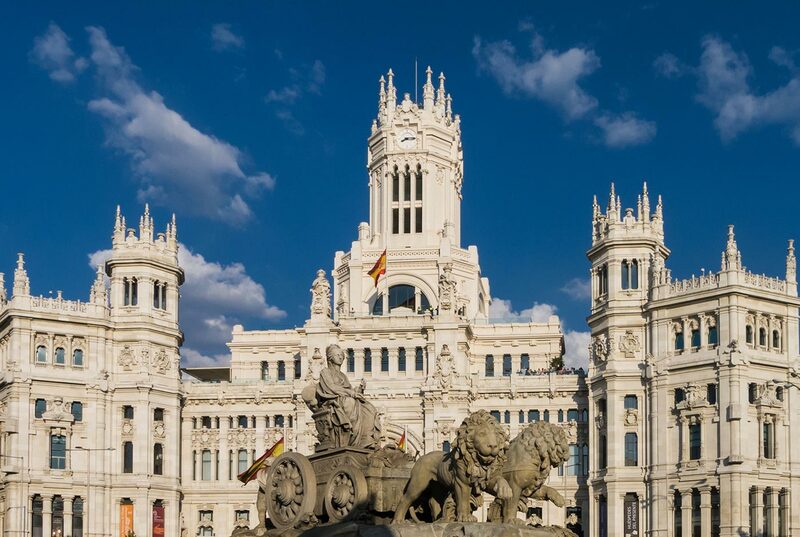 A morning sightseeing tour of the ancient Olissippo, is followed by a drive through its main squares and avenues, Belem Tower, Jeronimos Monastery, Coach Museum, Monument to the Discoverers, Marquis of Pombal Square and Liberty Avenue. The afternoon is at your leisure. 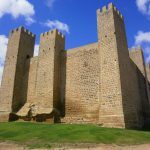 You might visit the Alfama Quarter dating back to Moorish times and known for its white washed alley ways, twisted streets and staircases climbing up on the mountain side. 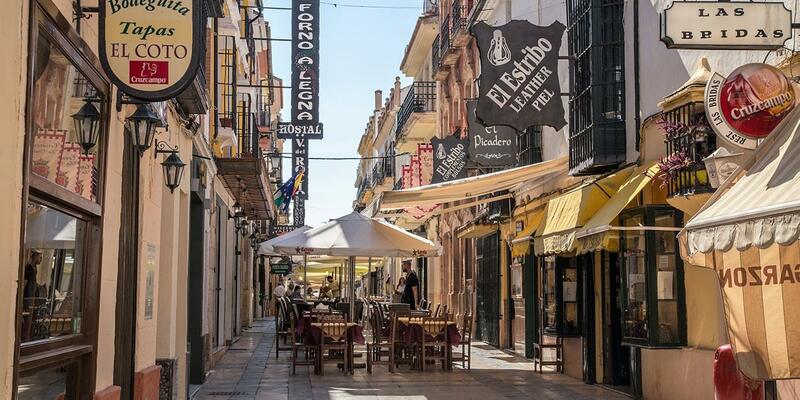 The old buildings nested in narrow twisting “Ruas” full of taverns and hidden corners. Accommodation in Lisbon. 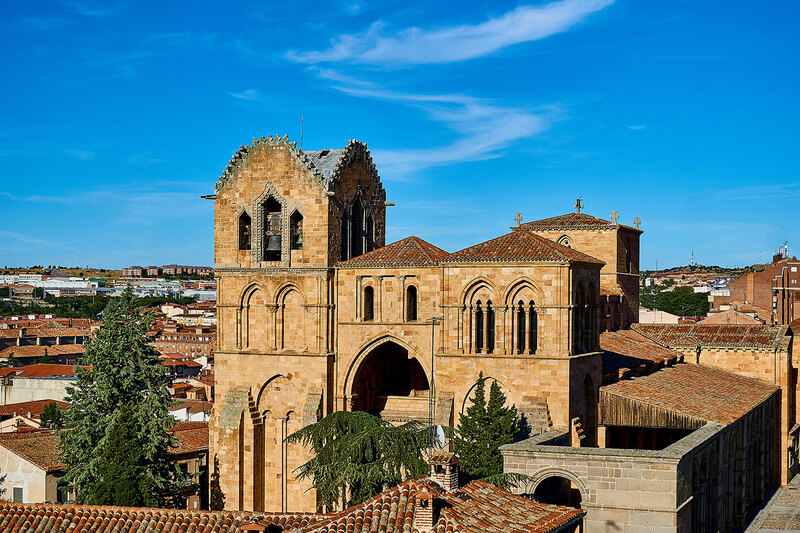 Breakfast at the hotel then depart back to Caceres, Spain, considered World Heritage because of the city’s blend of Roman, Islamic, Northern Gothic and Italian Renaissance architecture. 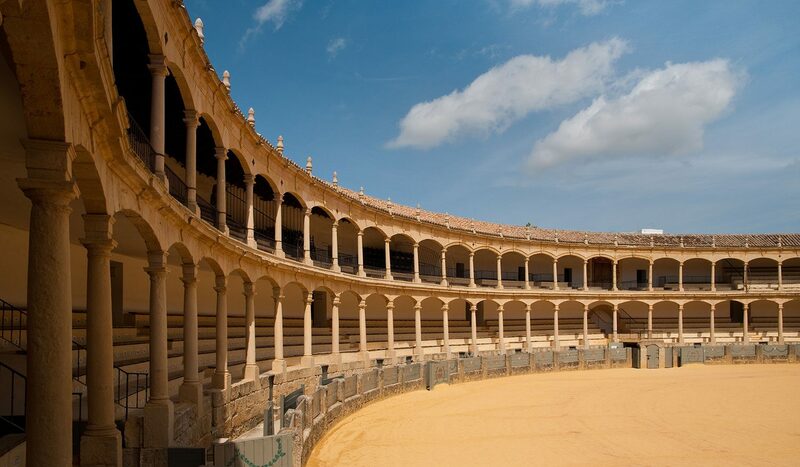 Walk through its Plaza Mayor and the Old Town with its famous Medieval Quarter. 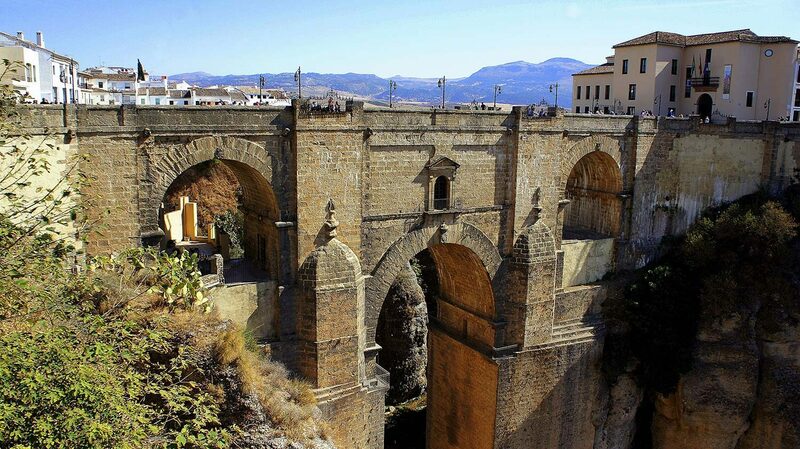 Afterwards, we continue on towards the romantic white Córdoba, once the capital of the Moorish Caliphate. 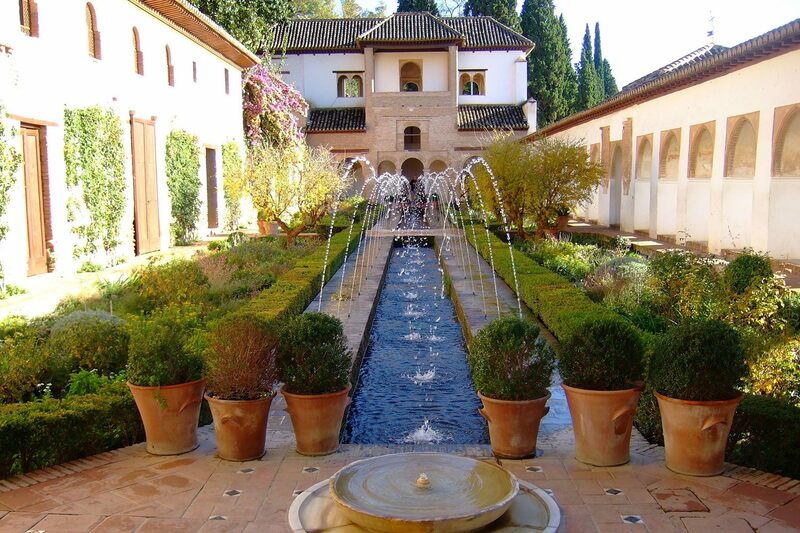 Dinner and accommodation at the hotel in lovely Cordoba. Breakfast at the hotel is followed by a tour of its Mosque with its impressive collection of unique columns, then stroll through its narrow winding streets of the Jewish Quarter with its many hidden little patios. 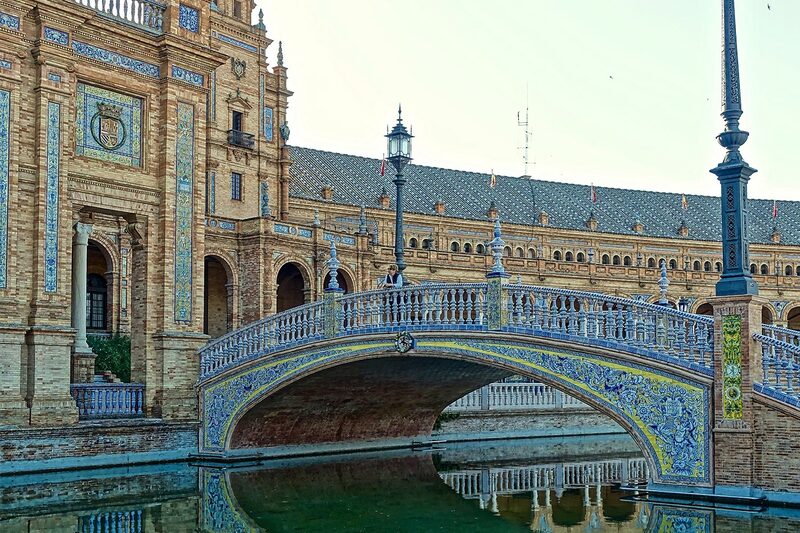 In the afternoon, after a short two hours ride we reach Seville, “city of Carmen and Don Juan.” Dinner and accommodation at the hotel. 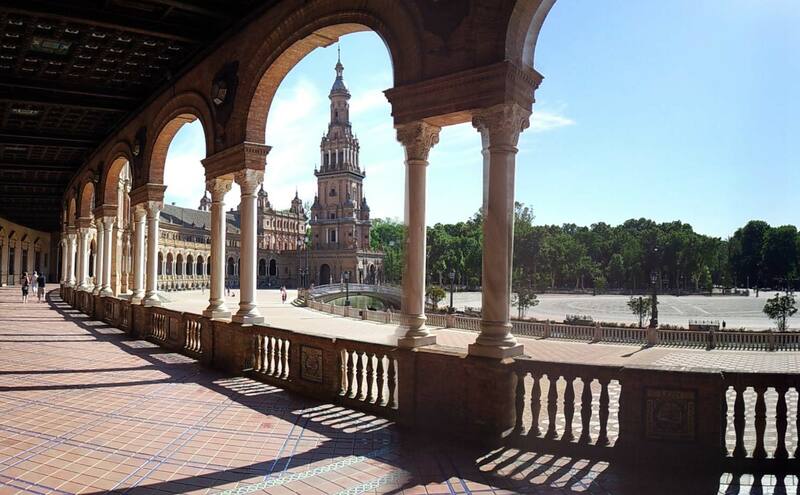 Enjoy a morning panoramic city tour visiting: the exterior of the Cathedral (the second largest in the Catholic world after St. Peters in Rome), Santa Cruz quarter (a natural scenario of “Carmen” as well as a precisely where the myth of “Don Juan” developed), Maria Luisa Park and Plaza de España. 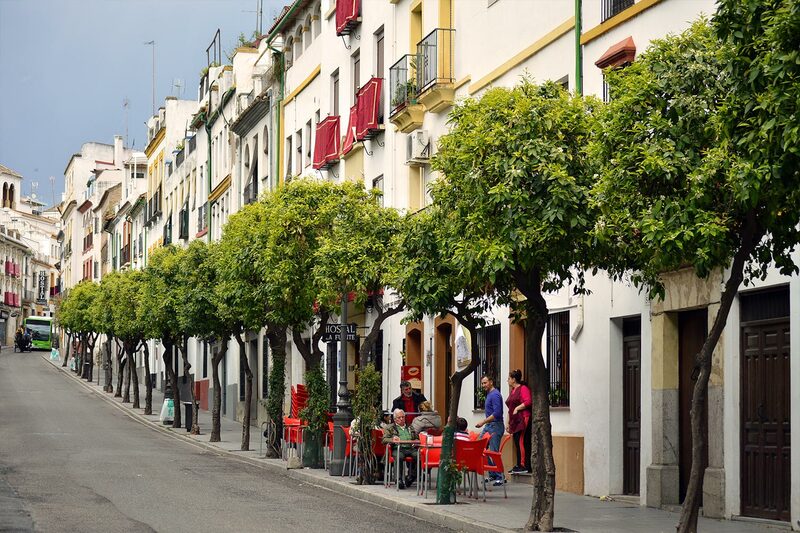 The afternoon is at your leisure to discover exclusive views, specific flavors of this active city. 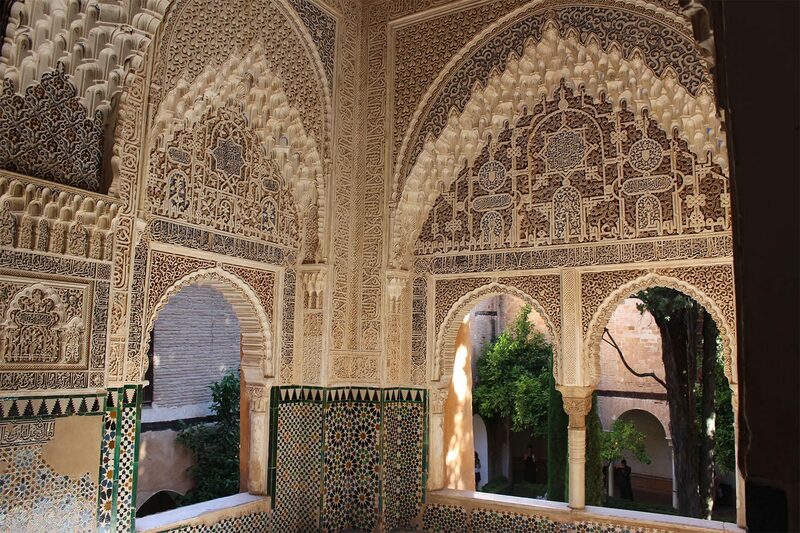 We recommend visiting the marvelous Alcazar, one of the most beautiful buildings in all of Spain. 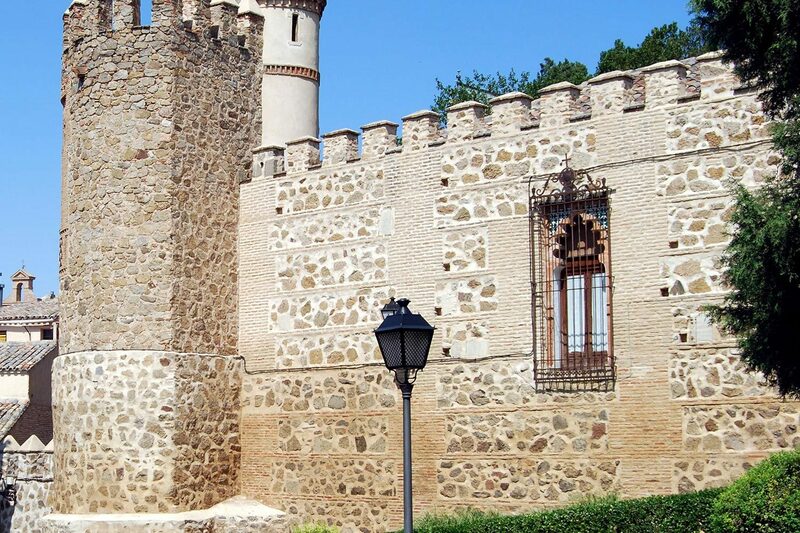 (check days and times in advance to see if it is open since it is still a formal royal palace.) Dinner and accommodation at the hotel. Optional Flamenco show with drink. 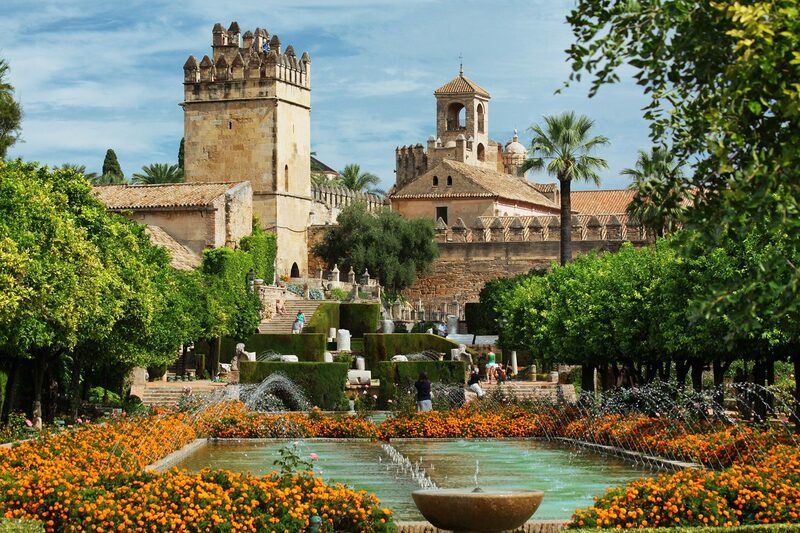 First, breakfast at the hotel, then we drive east through the Caliphate road to the heart of ANDALUSIA observing an endless number of olive trees on the way to Granada and it’s incredible and amazing monumental environment, last stronghold of the Moorish Kingdoms up to 1492. 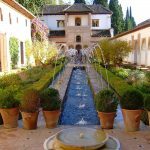 Visit the world famous Alhambra complex and Generalife Gardens that have inspired several authors with its sound and sights, such as the “Tales of the Alhambra” by W. Irving. Dinner and accommodation at the hotel. Optional Gipsy Flamenco show at Sacromonte quarter. After breakfasting, we drive toward the Mediterranean coast. 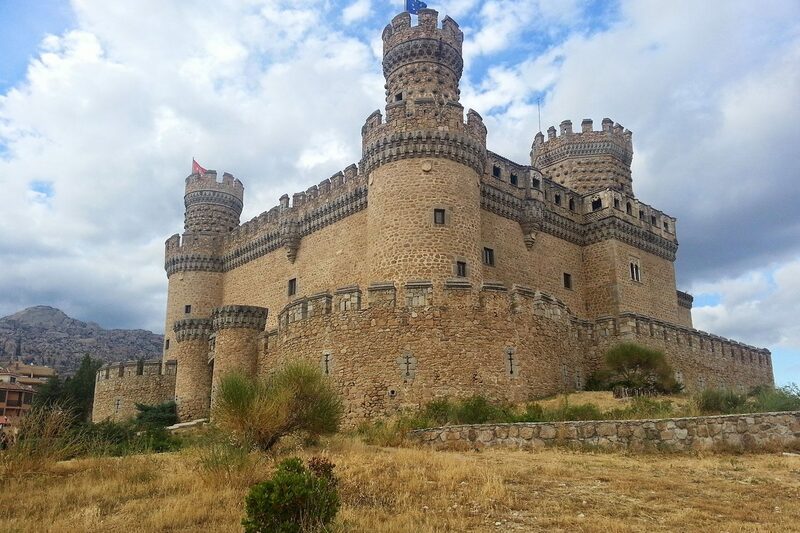 First the Via Murcia, capital of the fertile garden of the Segura river, then we continue north via Alicante, the second largest city within the region of Valencia. 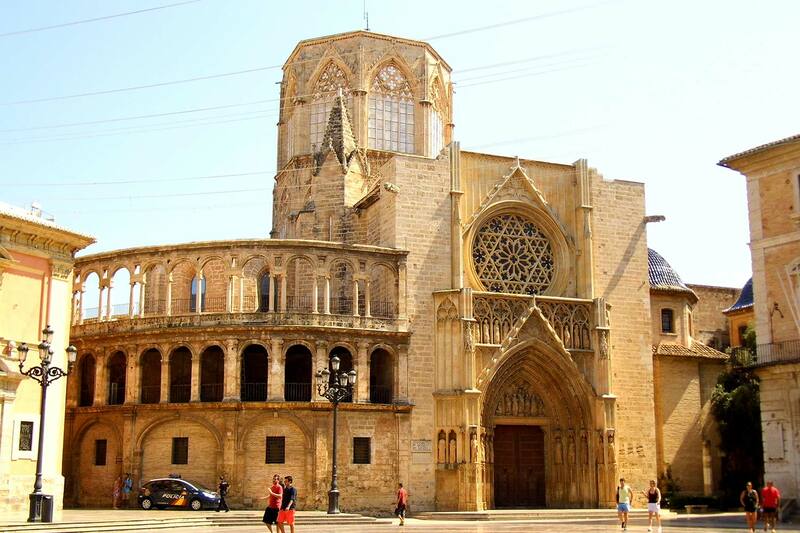 Valencia is one of the main capitals of the Mediterranean coast with its modern Arts and Sciences Architectural Complex integrated by six elements: Hemispheric, Umbracle, Science Museum, Oceanographic, Palau de les Arts and Ágora. 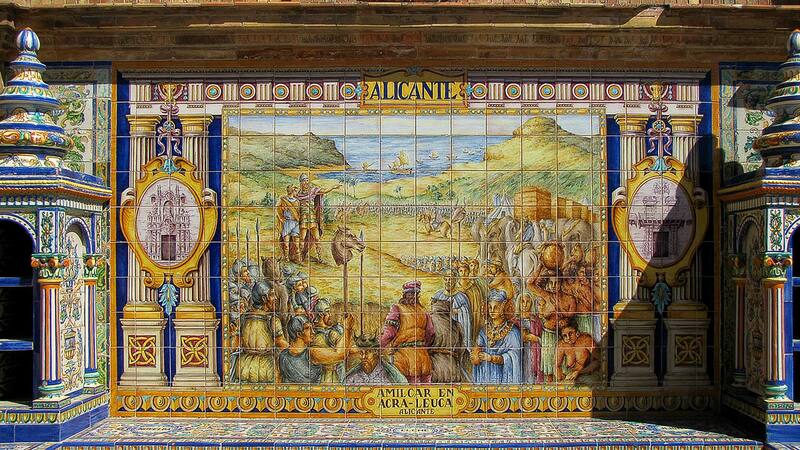 Valencia is also the home of the internationally well renowned and delicious “Paella”, the typical Andalucian dish. Accommodation at the hotel. Breakfast at the hotel is followed by a morning city tour of this bright city including a drive through the old city showing the most prominent buildings, we will then be driven past the old riverbed of the Turia to the most avant-garde complex “Ciudad de las Artes y las Ciencias” to watch the emblematic exteriors of the six buildings. Early afternoon departure toward north along the Mediterranean coast to the province of Catalunya, via Tarragona, the Roman Tarraco. 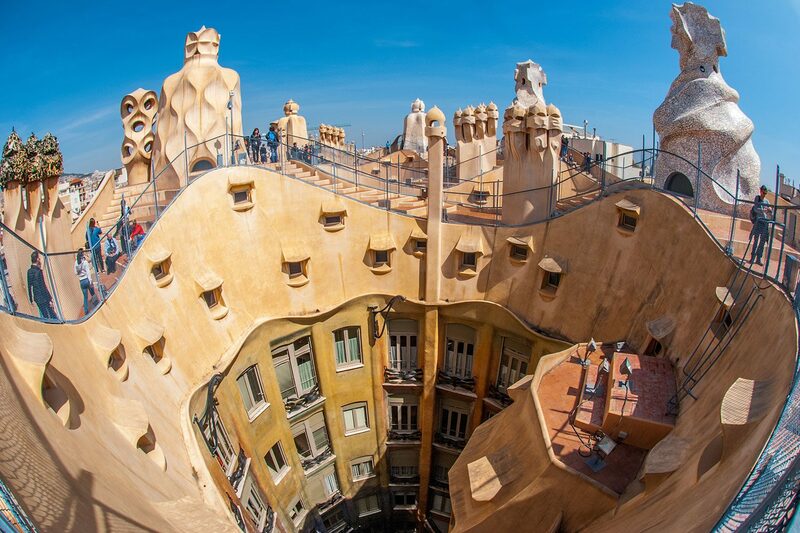 Reach Barcelona the exiting city of the Catalans known for its multiculturalism, and the architect Gaudi, symbol of the Catalan modernism. End of services.